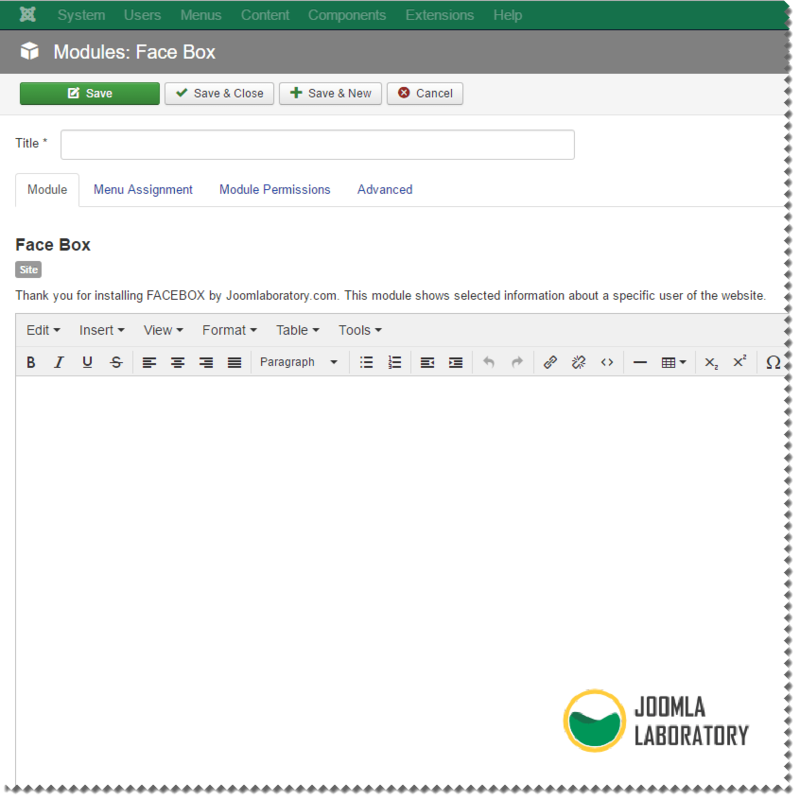 Face Box is a module displaying profile information for a specified user. The module consists of four tabs. On Module tab you can type a description text about the user you want to show. The second and third tabs are the classic tabs that all modules have, and from there you can select on which pages you want the module to show, and what right the user have for this module. The fourth tab"Advanced", is the one with all the extra information about the layout and information showing. 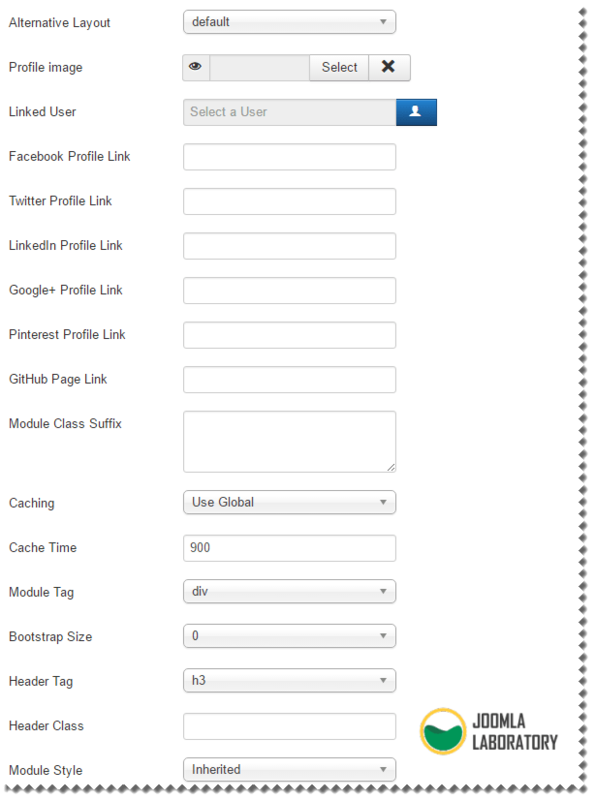 From this tab you can choose between different design layouts, link the user you want, link the profile photo and the profile pages of major social networks.